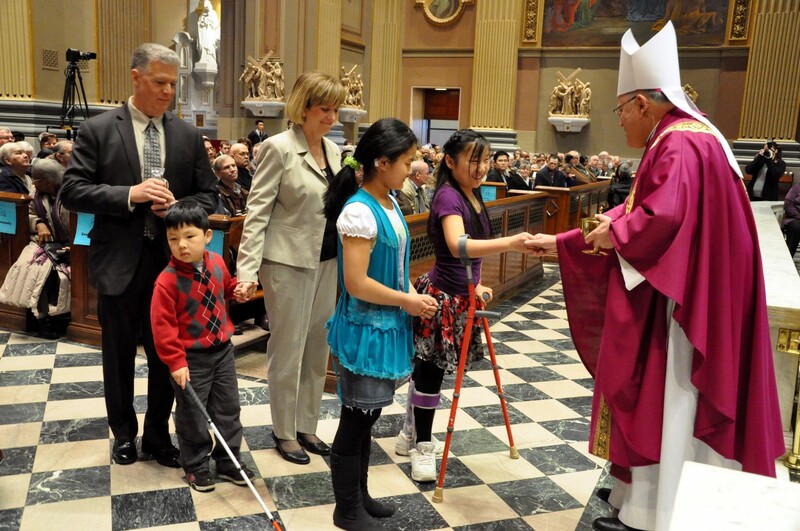 The Annual Archdiocesan Eucharistic Liturgy with Persons with Disabilities, The Deaf Community, Family, Friends and Caregivers: This annual Liturgy is held once a year at the Cathedral Basilica of SS. Peter and Paul at 18th and Benjamin Franklin Parkway, Philadelphia. Archbishop Charles Chaput, Archbishop of Philadelphia is the principal celebrant and homilist. A light reception is held following the Mass. All are Welcome. Save the date. This coming year the Mass is scheduled for March 30, 2019. We encourage parish participation and individuals/parish groups to volunteer in assisting with all aspects of the Mass and reception.